If you live in Raleigh, North Carolina, there's a good chance that you live in a home built by Royal Oaks. The company has constructed about 3,000 homes in the area in the past decade. Most of those homes feature privacy acrylic block windows in them manufactured by Hy-Lite. And, starting this year, home buyers have the option of selecting Hy-Lite decorative glass windows in their Royal Oaks homes. 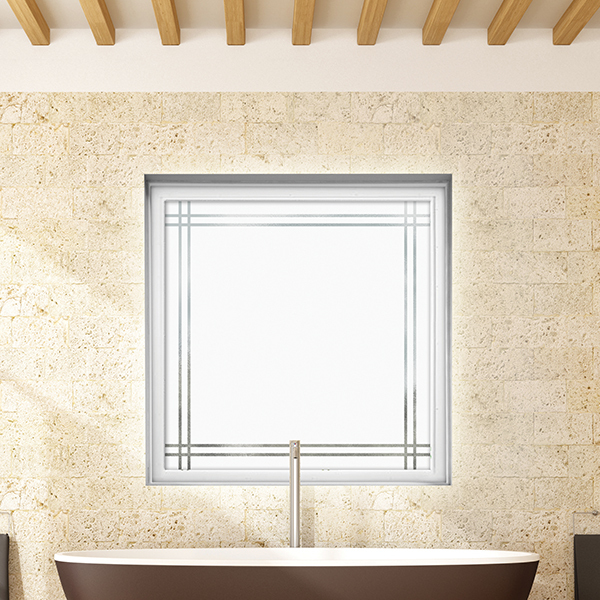 "Today's homebuyers really appear to like the option of a decorative glass privacy window in their bathroom for privacy," says Matt Riley, director of sales and marketing at Royal Oaks. "We've developed three different price point selection categories for people to choose from for their Hy-Lite windows. Each window we offer brings a distinctive style to a the room setting." Level 1 windows from Royal Oaks include the new Prairie and Baroque windows in the Home Designer Collection. Level 2 includes Hy-Lite's popular Spring Flower and Olympia style windows while level 3 includes the Craftsman, Victorian and Wrought Iron window selections. "We're adding the decorative glass windows to our model homes at Stonehenge Manors, The Townes a Bella Casa and Riley's Pond," says Riley. "I anticipate we'll sell more than 400 homes in 2016, so that means we'll have many people looking at those Hy-Lite windows!"